Imagine all the benefits of a great ACV rinse (sealed cuticle, clear scalp, ph balance, increased shine, etc..) with the hair reinforcing properties of dead sea minerals, the follicle stimulating properties of fermented tea leaves, and the hydrating, softening, and elasticizing properties of pure organic aloe leaf juice. Oh, did I forget a blend of plant essences classically used to encourage and protect hair growth? “Wait.. Hold up.. Did I hear right?” Yes indeed! 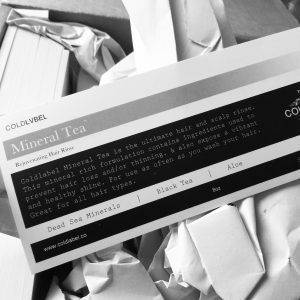 This stuff is good..
Coldlabel Mineral Tea is our latest offering from the industry leading creative and scientific minds we invest in. 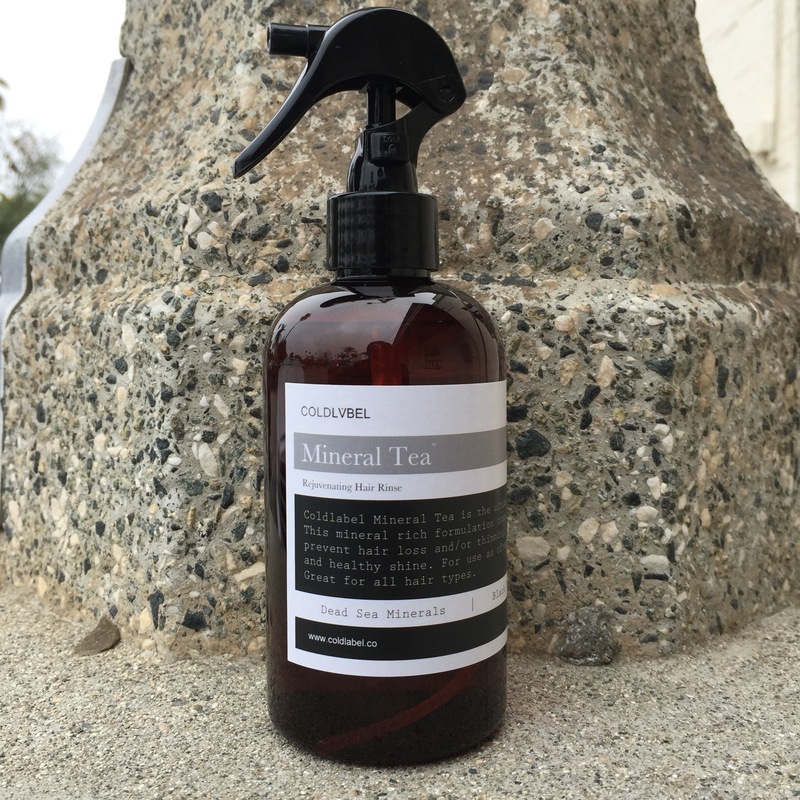 It is a reflection of our passion for the organic luxury that we believe in and know that you demand from the makers of your most personal products. Try the Face Apothesystem for beautiful skin. Back to school September sale! this stuff was fire! when will this be up again.